We have a range of innovative products and are regularly looking to break boundaries with new and effective ways to use energy efficiently. Our new ESP Heliotherm Comfort Compact Air to Water Booster Heat Pumps and Ground Source Heat Pumps are the latest in innovative technology. Introducing The World’s Quietest Heat Pump. The driving force behind the design of the Heliotherm range is to produce a market leading heat pump that has the highest efficiency and performance on the market. They have been designed to work in countries that have far colder climates than we experience in the UK. If you had a heating issue in the Austrian mountains you would have a serious problem and it just wouldn’t be acceptable. This is precisely the area where the Heliotherm is designed, manufactured and produced to cope with this kind of environment. The average winter temperature in the UK is 7°C and the heat pump design is mainly designed around that temperature whereas the starting temperature in Austria is -7°C. This highlights the difference between the standard UK heat pumps and the high performance of the Heliotherm range that we are offering. Check out/download the technical details here. We design and install renewable energy solutions within residential new builds as well as fitting our range of hot water, heating and ventilation systems in existing buildings. Get in touch today to arrange a free consultation with one of our industry experts. Earth Save Products have worked with some of the largest commercial institutions over the last few years, companies like RBS and the NHS. 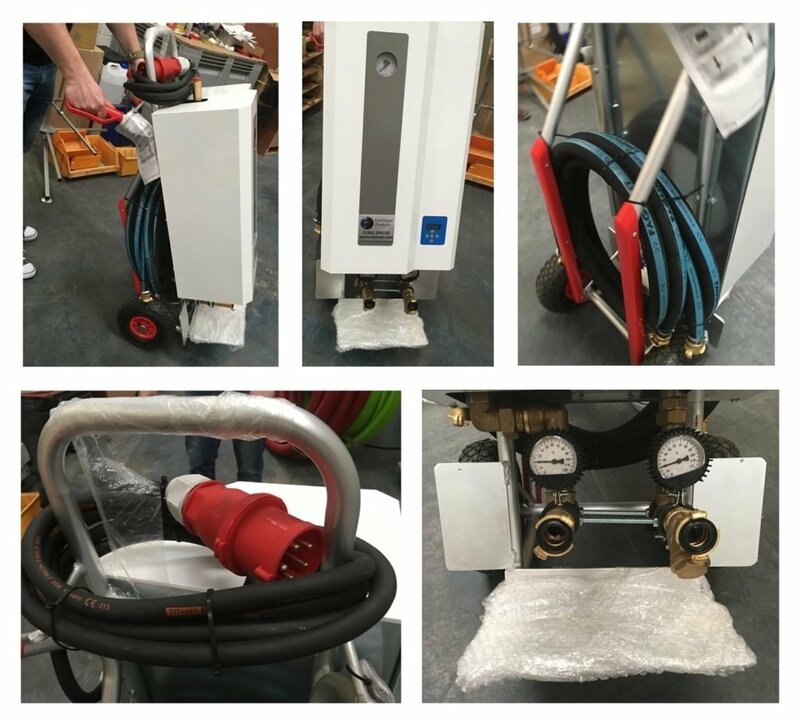 We have been delivering low cost hot water and ventilation systems that have exceeded initial projections on the return on investment. Earth Save Products have a range of innovative products and are regularly looking to break boundaries with new and effective ways to use energy efficiently. Our new ESP HELIOTHERM Compact Comfort Air to Water Booster Heat Pumps are the latest in innovative technology. The World’s Quietest Heat Pump. Renewable Energy Systems that make sound sense – for residential and commercial properties, new or old.